You’ll notice the glaring omission, of course—what about Kindle/Amazon? You’re not left out! if you’re a Kindle user, please download a free “.mobi” version from Smashwords above, and sideload it onto your Kindle device or app. 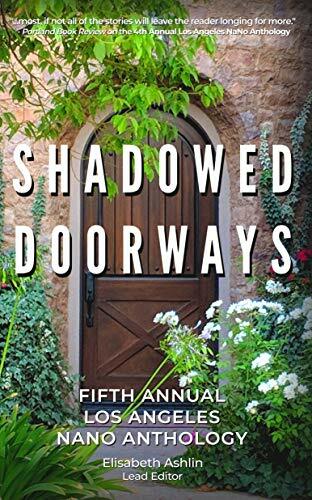 Or, if you just can’t stand dealing with sideloading, you can get it at Amazon for $0.99. 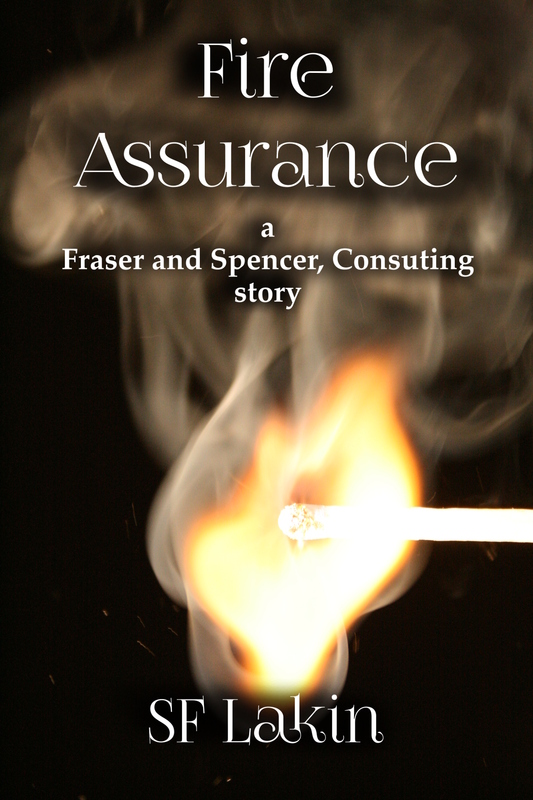 Please feel free to share “Fire Assurance” with friends! As long as you don’t change the contents, you’re absolutely at liberty to send it to anyone you want. All proceeds go to support NaNo Los Angeles, and the National Novel Writing month. I receive no royalties. Author sflakinPosted on October 3, 2018 Categories BooksLeave a comment on “Fire Assurance” Short Story Released! I now expect to release Fane of Air and Darkness in late August or early September. I know, I know—I promised June 2017. I have excuses, of course: life happens. But the truth is that what I might have released this month was not the novel you deserve. You deserve 1) a page-turning mystery, 2) a fascinating character study, and 3) a full-up fantasy world. Had I tried to release this month, you could only have gotten #2 and part of #3. The writing’s going really well. In the next month or so I hope to send my newsletter subscribers some “cutting room floor” scenes—fun stuff, but not relevant to the story I’m telling. The hard part will be picking things that are interesting but not dripping with spoilers. Stay tuned. When I sent The Bully Trap to my beta reader, some of her questions told me that I needed to be clearer in my own mind about the layout of Fraser and Spencer’s rooms. So I did some research about mid-Victorian London homes, and found complete plans for a row house, drawn in 1865. The plan I modified was for a mid-row townhouse; I imagine Burberry’s house to be an end unit, which would have been wider. (I imagine Fraser’s sitting room as wider than shown.) But look how large it is! Although I didn’t find a scale (how many inches equals how many feet) you can see that it had room for two carriages and stabling for four horses—in other words, a “two-car garage.” Also, it was fitted out with the latest modern conveniences—flush toilets (which imply a steady piped water supply) and gaslights. Hot water would have been on tap from “geysers” (pronounced GEEzers, gas-fired appliances) anyplace it was wanted. Upstairs rooms for the family had full baths, which would almost certainly have had a geyser installed in each. The full plans show five floors in the main house, two floors in the carriage house, and a full basement extending from beneath the street in front to under the carriage house. In addition to large bedrooms enough to house at least three generations of family, there were servants’ quarters for ten or more. Mrs Burberry would certainly have converted almost every square foot in the family areas to accommodate lodgers. Fraser’s apartment, with its connection to the floor above, would have been particularly spacious—and expensive. I don’t have an elaborate system set up. I know writers who fill out three-page Role Playing Game character design forms for their protagonists, villains, and main supporting characters. That’s way too organized for me. What I’m looking for in a protagonist is a character that I like and who is interesting enough for me to want to spend six months or more of my life with him/her/it. Likeable can mean such things as: Intelligent. Kind or becoming so. Interesting means flaws: Fraser’s temper and PTSD. Spencer’s lack of connection with other humans. I’ve abandoned books with protagonists whom I either started disliking or found boring. I usually find a photo or do a drawing of each main character in order to have a visual image of him. 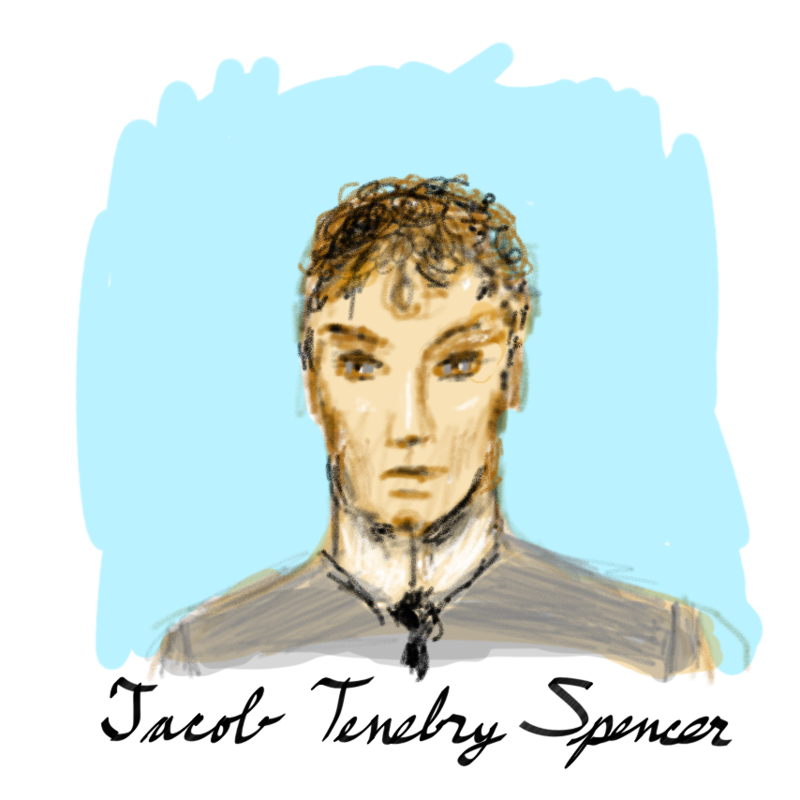 I hope you enjoy my sketch of Jonathan Fraser! If you subscribe to my newsletter, check your email for a link to his biography. If you’re not a subscriber, subscribe now to get access to Fraser’s bio. Once again, RL Sather has designed my beautiful cover art. Fane, n. 1. Temple. 2. An elf, a fairy. The first draft is roughly half-finished. With any good fortune, I should complete it by February at the latest, which will put it into beta reading. After my beta readers send their feedback, I’ll be editing, polishing, and publishing. I’m shooting for a second quarter 2017 release—you won’t have to wait long! I’m working hard on Fane of Air and Darkness, and the first draft is roughly one-third complete. 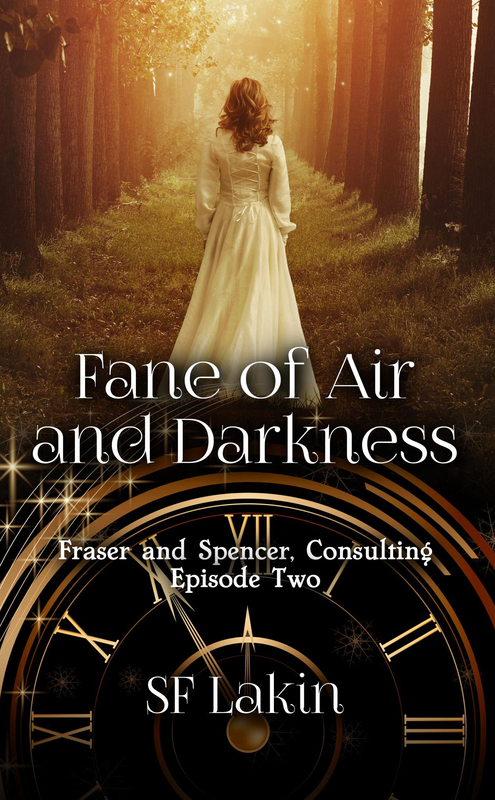 Fane will be a full-length novel, starring our charming gents Fraser and Spencer, with a bit of murder and a hint of magic to spice things up. The Bully Trap is now in wide release. The eBook version is available at your favourite online retailer (Amazon, iBooks, Barnes and Noble, Kobo, and others.) It’s in the retailers’ international stores, so if the above USA links don’t work for you, just search! Paper copies are available for purchase at Createspace.com, Amazon.com, and BarnesAndNoble.com, and the Amazon Canada, Amazon UK, and Amazon Europe sites. and I’ll add you to the review copy list. and I’ll send you a link for your ebook. If you’d like to listen to my weekly complaints about how beastly hard the life of a writer is, please visit my writing blog, A Study in Silver. SF Lakin Powered by WordPress.com.